I spent a wonderful two hours exploring the light cascading down the walls of Lower Antelope Canyon. Mounted on a tripod, my exposures were mostly at 2 seconds at f8 at 320 ISO. In this image I had the canyon to myself. But not now. Hoards of tourists flow into this sacred space, clamoring for position, shouting in their excitement, jostling each other along the way. I pack up my gear and start to leave, grateful for the time I had here. But something more important was happening, as well. For it was here in the canyon, that these people were learning to see the raw side of nature as inspiring. 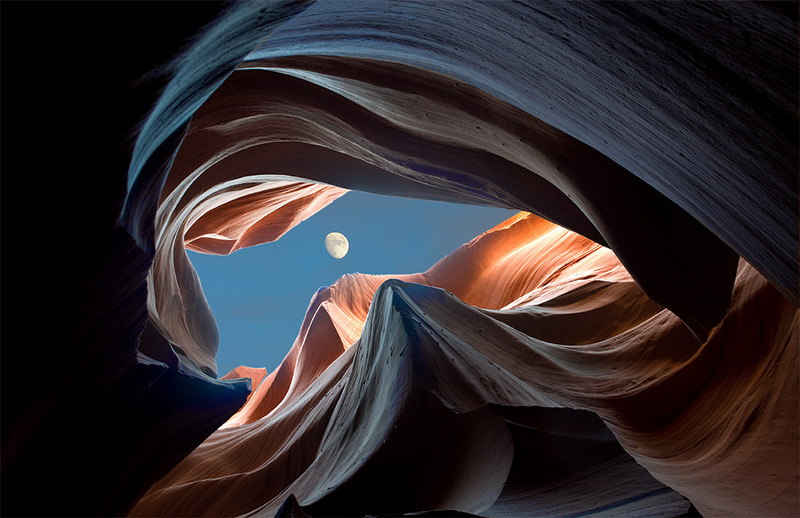 Our modern sense of wonder in the face of natural splendor owes much to the emotions of those noisy visitors to Antelope Canyon. 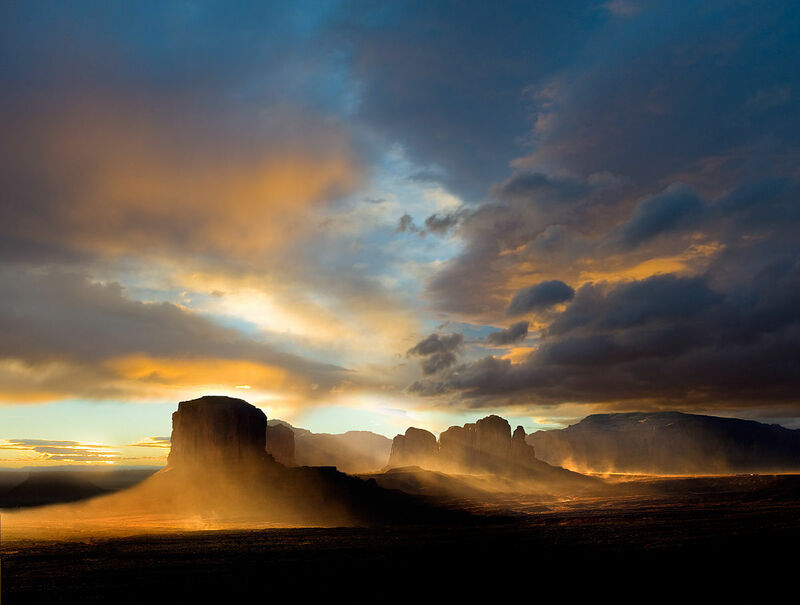 In Monument Valley, where the past seems eternal and history is all around, the Navajo have maintained harmony with Mother Earth and Father Sky. The pre-Puebloan Indians first came here over 1500 years ago and to them, the Thunderbird is the guardian spirit of shamans and warriors and a great source of power. 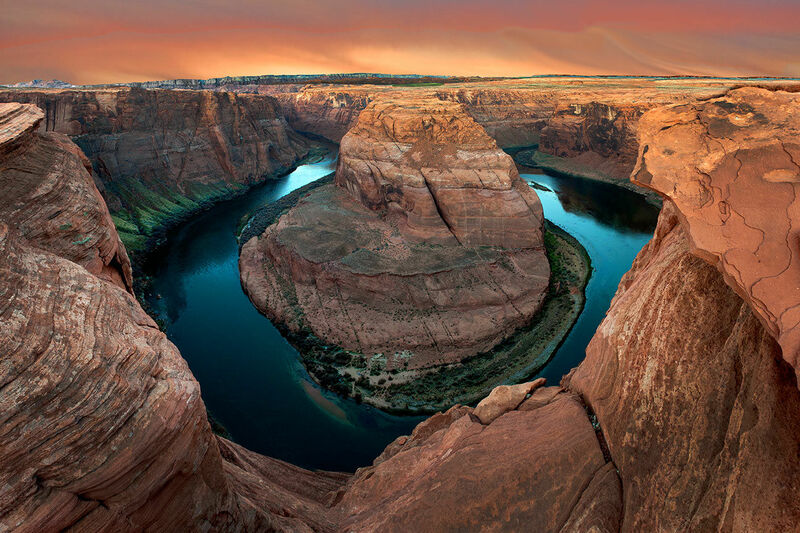 This is my third attempt at shooting a sunrise at Horseshoe Bend. Previous attempts just didn't have a sunrise with the color and light that I was looking for. This time I arrived about 45 minutes before sunup and waited for that perfect moment when the sun was just beginning to color the sky and the top part of the rocks. 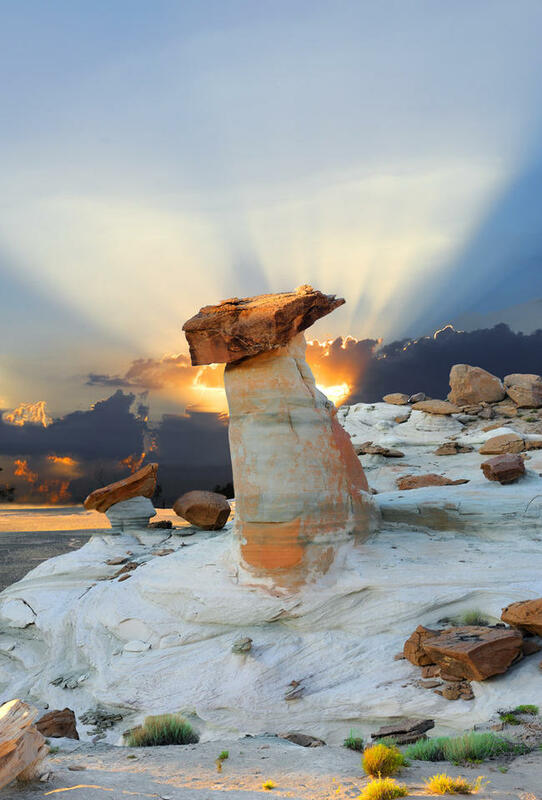 The light, perfectly balanced within the sky and the canyon, was gone in an instant. A fierce wind storm was raging that day and its turbulent atmosphere infuses the photograph with energy. The play of light and shadow, the tracings of wind and earth offer metaphors for spirit, metamorphosis, migration. Night magnifies the deeper, hidden world of spirit. This is when the spiritual part of the valley comes alive, in the evening and in the darkness. 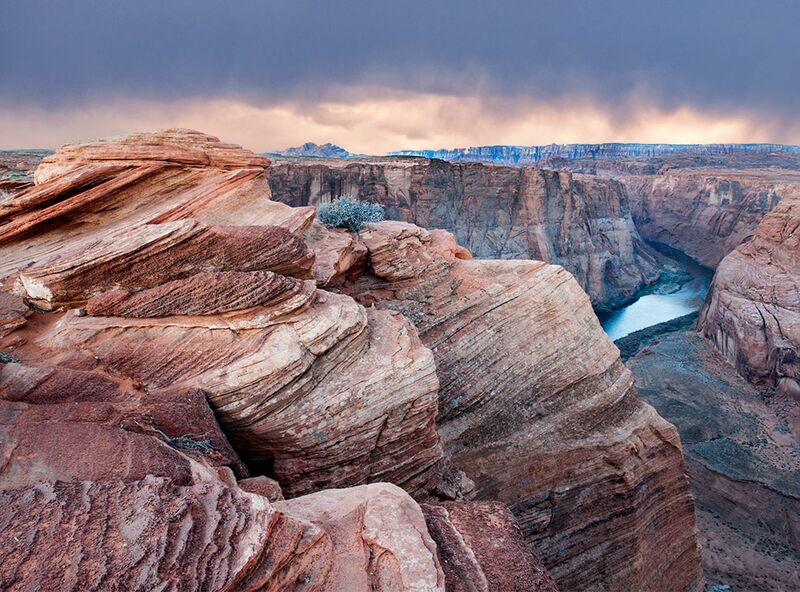 Hopi Point offers incomparable sunrise and sunset views as well as a terrific vista of the Colorado River. 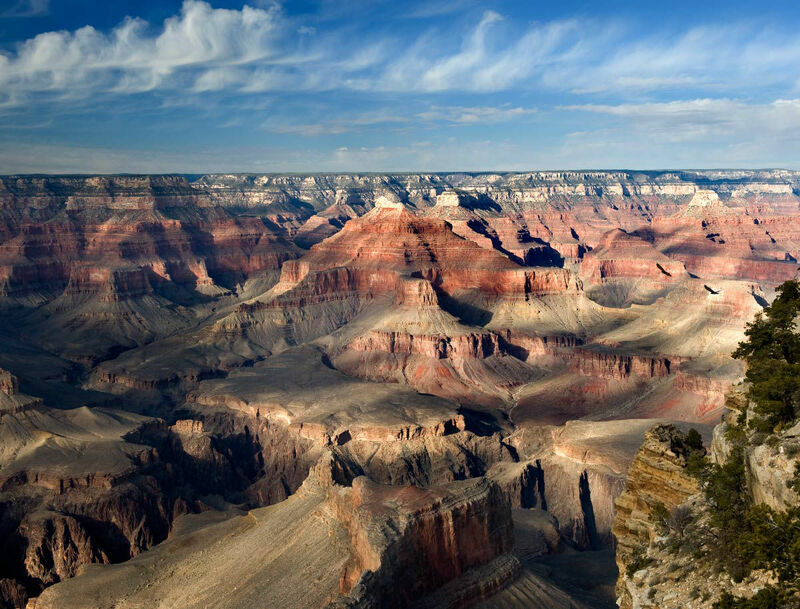 The panorama stretches approximately 45 miles east and west, while, across the way, dramatic buttes rise from the Grand Canyon landscape. This photograph is featured in the March 2012 publication "Cowboys and Indians"
Part of the beauty of Death Valley isn’t what is obvious. It’s what’s hidden. Zabrieski Point is one of those secluded wonders. The colors are produced by the oxidation of the metals and elements found in the ground here, and it produces everything from purple and blue to even a slight green. Shaped, sculpted and scarred by the earth’s natural forces over the eons, Death Valley is a surreal landscape of extraordinary and extreme beauty, weather and geology. The climb to view Zabriskie Point in Death Valley National Park at sunrise was quite an experience. As I trudged up the slope, out of breath and in the dark I crossed my fingers and hoped for a clear morning and a good sunrise. As dawn was breaking, a reddish yellow blade of light cut through the clouds, spraying its hue over the canyon below. The east and the west are mine, the north and the south are mine. If we don't wake up in the morning curious about what the day may bring, eager to watch the sun rise and make it's way up the sky and back down the other side and to be present with all the little moments and experiences that fill space and time along the way, then perhaps it’s time that we grow beyond that old paradigm of what we were taught to believe as important and begin to understand that the present experience of God or the Universe is more accessible, tangible and present than ever before. Thor's Hammer in the morning light at Bryce Canyon, Utah. 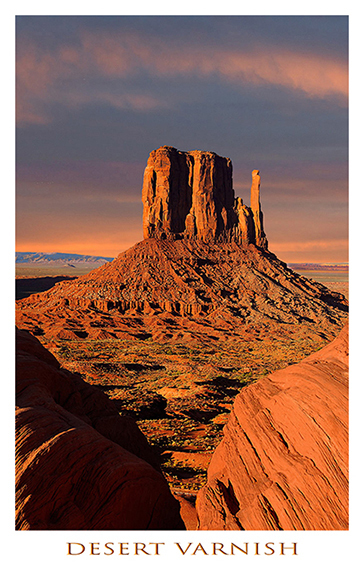 This photograph is featured in the March 2013 publication "Cowboys and Indians"
"Our job is to record, each in his own way, this world of light and shadow and time that will never come again exactly as it is today."